Namaste is an ancient Sanskrit blessing, greeting, and salutation. It means: “I honour the spirit in you which is also in me.” It is a simple yet powerful acknowledgment that we are ultimately one in spirit. 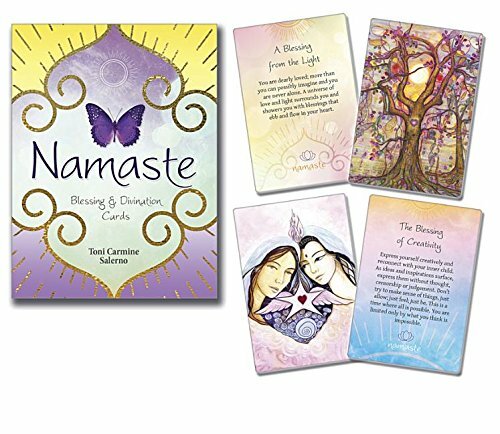 The radiant artwork and inspiring messages of this deck are designed to bring the energy and intention of this Namaste blessing into your everyday life. Draw a card and be guided to a space of peace and clarity within you.